The Group's premier hotel portfolio includes the "world famous" Sefton Hotel, the BEST WESTERN Palace Hotel ♦ Casino complex and the Island's only airport hotel the Sefton Express. The "world famous Sefton Hotel, designed by local architect W J Rennison, first opened its doors in 1892. The Hotel offers a combination of quality amenities and services that ensures an unforgettable experience - whether for business or pleasure. 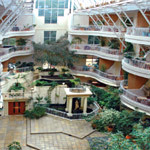 Lavish public rooms await you, including a truly unique atrium and indoor water garden, a cosy library, first class conference facilities, a tranquil spa and sumptuously appointed guest rooms and suites, many with panoramic views of Douglas Bay. 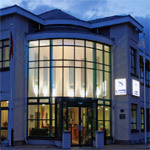 Opened in 2006, the Sefton Express, located opposite the Isle of Man Airport, is a perfectly situated, relaxing, calm and convenient quality budget hotel, sharing the Sefton Group's commitment to the highest standards of customer service. 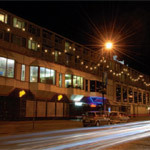 The hotel is perfect for either long or short term stays, whether for business or pleasure. There is a Conference Room for up to 12 delegates and secure free car parking. Quality, convenience, entertainment and relaxation. Situated on the Victorian Promenade overlooking Douglas Bay, the BEST WESTERN Palace Hotel ♦ Casino (formerly Hilton Isle of Man) is one of the largest and best appointed 4 star hotels on the beautiful Isle of Man.